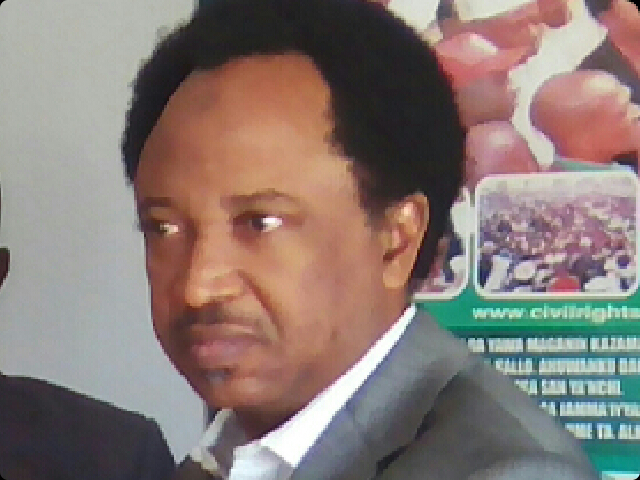 FOLLOWING the intervention of national body of All Progressives Congress (APC), which described suspension of Senator representing Kaduna Central, Shehu Sani as ‘insubordination’, Chairman, Tudun Wada North ward six, Kaduna North Local Government of Kaduna State, Alhaji Abbas Muhammad Anni, has hinted that the senator remained bonafide member of the party. The national body of the party through the National Vice Chairman, North-west, Alhaji Inuwa Abdulkadir, had declared the 11 months suspension of Senator Sani as invalid, null and void because due process was not followed. Addressing newsmen in Kaduna, the ward Chairman clarified that the Senator was never at anytime suspended by the ward executive as contained in purported letter which was said to have been carelessly signed by paid impersonators, quickly added that the ward had in that regard wrote the national body to distance themselves from the purported suspension of the Senator. Alhaji Abbas also drew the attention of the public, to disregard all statements. By Salisu Tanko Wunoso, who is parading himself as APC Spokesperson in the state, saying the party is aware of his insults on the National and Zonal leadership, thereby making their efforts to resolving the issue prolonged. He said, ”the likes of Salisu Tanko Wunoso are those benefiting from this fends and so it is is understandable that he would like it to continue to the detriment of our party. “Attempt to bribe some executives of the wards to suspend Senator Sani hit the bricks following the declined of the executive to mortgage their conscience. The people who claim to be in tune with the principles of President Muhammadu Buhari have resulted to bribing executives to suspend the Senator. “These corrupt elements and bad eggs who are hiding behind the name of President should be called to order, they are engineering, precipitating and sustaining the crisis in the party so as to continue extorting money from the governor. “We the executive of ward are very satisfied and impressed with his performance at the red chamber of National Assembly. We also commend people of genuine concern and goodwill who participated in ensuring that peace and unity is restored within the family of the APC in Kaduna State,” he stressed.